Letters and graphics to advertise your business on windows, wall, vehicles and more. 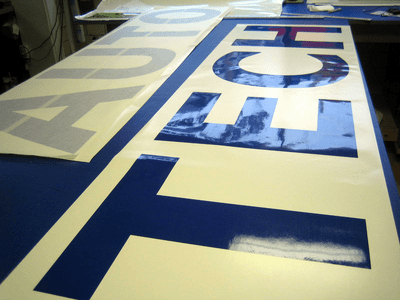 Cut vinyl comes with a pre-mask transfer tape for easy application. Call or email with area size where you would like to apply your vinyl message or logo and we can send you an estimate.